A man strangled his estranged wife in the heat of passion when he learned she was dating an 18-year-old co-worker and realized that his marriage was over, a defense attorney told a jury Wednesday. Americus De Orenday, 45, is charged with first-degree murder in the September 2013 death of his 40-year-old wife, Mirella. In her opening statement, defense attorney Liza Suwczinsky said her client — who was separated from the victim — loved his wife and went to her apartment with their three young children to talk to her about keeping their marriage together. De Orenday convinced his spouse to go out to his truck and, once there, realized that his life was “shattered” and went into a frenzy and strangled her, Suwczinsky told the jury. De Orenday kept his wife’s bloodied body for two days before driving to police headquarters in downtown San Diego and turning himself in. The defendant tried three ways to kill himself before going to police, his attorney said, telling the jury that De Orenday should be convicted of voluntary manslaughter. In his opening statement on Tuesday, Deputy District Attorney Leonard Trinh said De Orenday began stalking the victim and her new boyfriend once he learned they were dating. Trinh said De Orenday had a history of violence against women, preventing a former wife from leaving the house and threatening to kill another woman he was dating. Americus and Mirella De Orenday were married nine years and had separated a few months before she was killed, Trinh said. The defendant had taken out a restraining order against his estranged wife and won custody of their 8-year-old daughter and 7-year-old twins, according to the prosecutor. 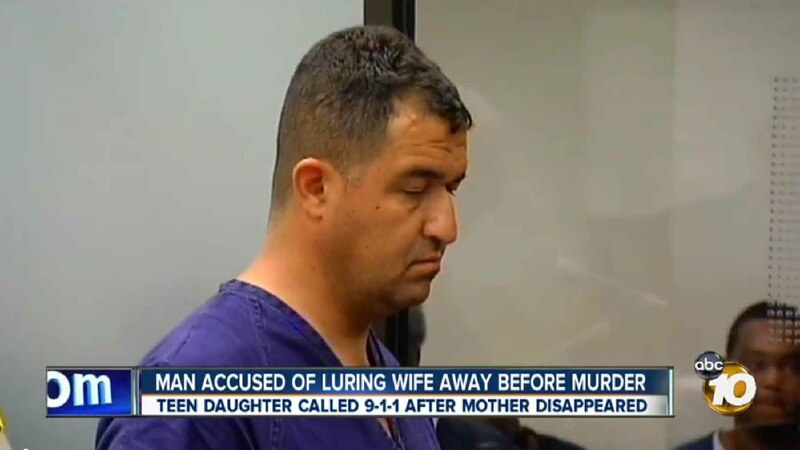 The victim’s 17-year-old daughter from a previous relationship, Leslie Gutierrez, said that her mother and the defendant argued often during their marriage, mostly about money but also about how to raise their three young children. De Orenday faces 25 years to life in prison if convicted of first-degree murder.